As soon as one large-scale control check of combat readiness ended in February, the Belarusian army command launched another one in mid-March. Minsk also strengthened its territorial defence troops by introducing regular training and providing these units with their own equipment and materials. Meanwhile, Belarusian officials reiterated the following: national armed forces are getting ready to fight “terrorists” and “extremists” rather than engage in major conflicts. In a regional context it means Minsk prepares for a Donbas-like scenarios of destabilisation and will do everything to stay away from any military confrontation in the region involving Russia and NATO. Territorial defence troops: finally becoming a serious force? Addressing on 18 February a training retreat for province-level civilian and military state officials on territorial defence, Alyaksandr Lukashenka said that separate stocks of arms and other materials would be assigned for territorial defence troops. According to him, each district should form a minimum of one-two companies and maximum a battalion of territorial defence troops. Territorial defence troops were established in Belarus ten years ago, but it is only in recent years that they have become a real force by conducting military drills and getting their own equipment. Recently it was officially announced that province-level state officials should attend special training retreats once a year. Training goes on at lower levels, as well. Concurrently, with the retreat for province-level officials, a staff and command training seminar on territorial defence forces for state officials of Hrodna City and District has been held. According to Belorusskaya Voennaya Gazeta, official military daily, "territorial defence units should fulfil their tasks alongside the regular army and not substitute the army.” According to Lukashenka, territorial defence should guard critical facilities in war time. In earlier military drills, however, territorial defence units were trained to counter infiltration of small armed groups. In February, the Belarusian media published articles about an alleged case in which two soldiers were beaten in a special operations unit in Brest. The investigation found no proof of criminal behaviour. The press service of the Defence Ministry, however, used the opportunity to boast of the army's achievements in halting criminal activities and providing safety for their personnel. According to them, not a single soldier died in the Belarusian army in 2015. In addition, criminal levels fell to the lowest point in the history of the national army – 1.62 crimes for 1,000 personnel. Conditions improved in other areas as well. In March, for example, the Defence Ministry revealed that 43 out of 132 army cafeterias have been outsourced to external providers. This act relieved more than 450 soldiers of everyday duties in the kitchen and let them devote this time to military training and duties. This year, 17 additional cafeterias will be transferred and by the end of 2017 more than half of the army's cafeterias will be run by external providers. At the annual briefing for foreign military attaches on 19 February the head of the Department of International Military Cooperation of the Belarusian Defence Ministry Major General Aleh Voinau in very clear terms described the current priorities of the Belarusian army. According to him, the recently announced new Military doctrine will not lead to radical changes in military policies. Minsk has started to rebuild its armed forces – e.g., towards making them smaller yet more mobile force to fight low-intensity conflicts, insurgencies and subversive activities – since the late 2010's. It is one more among numerous evidence indicating that Minsk is fearful of destabilisation and intervention by armed groups without direct state affiliation, like those which acted in Eastern Ukraine. This year the army should improve training of its commanders and leaders with regard to commanding the troops “in the circumstances of serious deterioration of sociopolitical situation and massive negative information impact,” announced the Belarusian military official. geopolitical subjects, terrorist and extremist organisations actively use new concepts and mechanisms of regime change in other countries, change of their constitutional system and violation of their territorial integrity by provoking internal armed conflicts. His speech is an indication that Minsk has now fully realised what transpired in Eastern Ukraine and it will not allow anything like that to occur in Belarus. Speaking on 23 February, Defence Minister Raukou said that security of the country relied also on military cooperation not only with Russia and members of the Collective Security Treaty Organisation. On 15 March Defence Minister launched the second, of this year, comprehensive control check of combat readiness of military units of the Belarusian army. 600 reservists, including 60 reserve officers have been called to duty from Minsk, Vitsebsk and Hrodna provinces. In total, 7,000 troops with 1,100 vehicles shall be embraced by this control check, i.e., more than 10% of Belarusian armed forces. The military units engaged in this control check conduct intelligence gathering, block and eliminate illegal armed groups and apply firepower at maximal distance. Drones also are deployed in all these operations. 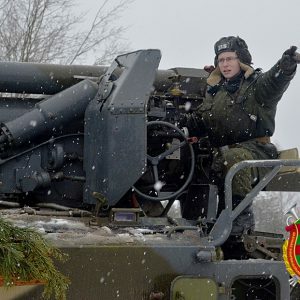 The control checks appear to involve serious examination and for instance after the previous control check in February even the Minsk-based 120th Guards Separate Mechanised Brigade got only “good” marks. All in all, the Belarusian government with its military policies continue to respond to dramatic developments in regional security which occurred in recent years. Minsk systematically works on improving combat readiness of its troops. It adjusts its defence system to its opportunities. For example, encountering difficulties in renovating military hardware, Minsk has developed a territorial defence system. Furthermore, it cautiously develops relations with external players such as China, NATO and the EU. Economic difficulties push Belarusian authorities to extraordinary ways of gathering revenues. They continue arrests of top businessmen, regardless of their position in Lukashenka's apparatus, on tax evasion charges, allegedly waiting for a big payoff. In domestic politics, the authorities try to modernise Belarus' political system and raise the role of loyal political parties and associations without introducing major changes to the authoritarian model. Belarusian programmers sell MSQRD, an IT startup, to Facebook. All of these and more in this edition of State Press Digest. KGB head Vakuĺčyk: there are no sacrosanct people in Belarus. Belarus Segodnya publishes comments made by Belarusian KGB head Valier Vakuĺčyk on the recent arrest of Belarus' top businessman Jury Čyž, as well as other high-rank businessmen detained earlier this year. In addition, to Vakuĺčyk's explanation around the ambiguous tactics used to evade taxes, he also provided some additional details on the subject. Vakuĺčyk said that he personally took decision to arrest Čyž, since he is not on the staff list of the president and does not need a sanction for arrest. “If I let him go, I would be responsible for that and could appear in his shoes now. There are no sacrosanct people in Belarus, and some wrongly think that appearing on a photo with the president or playing hockey with him gives them immunity”, Vakuĺčyk said. The authorities want loyal political parties to build in the political system. Belarus Segodnya highlights the meeting of deputy head of Presidential Administration Ihar Buzoŭski with the leadership of pro-government political parties and civil associations ahead of parliamentary elections scheduled for this autumn. “Political parties need to show concrete positive actions aimed at building civil society, economic and social development, and this concerns not only electoral campaign period”, the official said. He added that political parties and civil associations can become effective sites for public dialogue, channels of public opinion and developers of policy proposals. Pro-government political parties have become passive since the 1990's, because the centralised political system of Belarus does not accept multiple political actors. Apparently, the authorities try to modernise the system and invent new functions for the half-dead loyal political parties. Post-Soviet space needs reindustrialisation and a new integration idea. Ahead of the 25th anniversary of the formation of the Commonwealth of Independent States (CIS), newspaper Soyuz. Belarus-Russia interviews Russian political scientist, of Belarusian origin, Kiryl Koktyš on the future of post-Soviet integration. According to the expert, previous relations across the post-Soviet space were built around “oil rivers” and participation of former Soviet countries in the trade of Russian hydrocarbons. Today, the countries need to introduce a new model, based on production rather than export of natural resources. The old concept of an Eurasian Union is dead and the new one has not yet emerged. Designed as a replica of the European Union, it failed to implement free movement of people, capital, goods and services, and after sanctions war demonstrated a complete failure. However, the post-Soviet leadership cannot offer a new idea of integration and each country has its own interests towards Russia. Russia aims to boost gas transit via Belarus. Russian gas giant Gazprom has developed an extensive investment programme for Belarus, reports Soyuznoye Veche. It will invest $2,5bn in modernising the Belarusian system of gas transport with one billion of the sum going towards underground gas storage. Moscow is also contemplating the creation of a new pipeline Yamal-Europe-2 from Russia to Central Europe via Belarus. Kremlin plans to stop transit via Ukraine after 2019, and Belarus is considered a more reliable partner for transiting Russian hydrocarbons. However, Poland, backed by the EU and US, is blocking Moscow's plan for pipeline expansion. Therefore, the future of boosting Belarusian transit capacities remains unclear. Belarus works on diversification of food export. According to Seĺskaja Hazieta, by 2020 the government plans to split the food export to 30%-30%-30% for the Eurasian Union, the EU and third world countries. Diversification of export becomes a crucial task for food producers in Belarus, as the Russian market, which currently absorbs 94% of Belarus food production, will be gradually contracting. Until 2020 Russia plans to reach around 90% of self-sufficiency in food according to its security doctrine. Yet by now only 2 of 46 diary companies of Belarus managed to enter the market of the non-Eurasian Union countries. As for the EU market, only 10 Belarusian companies have certificates for selling their products in Europe. The trade with the EU is complicated due to the European protectionist agricultural policy which contains high import tariffs. Moreover, due to economic crisis Belarusian food export in 2015 fell by 26% compared to 2014. Facebook buys successful Belarusian startup MSQRD. Mobile application for making selfies with masks of celebrities, superheroes and animals emerged only four month ago and has already reached over 15 million downloads. 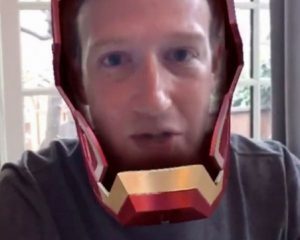 The unique technology seemed so promising that Mark Zuckerberg decide to purchase the startup, writes Soyuznoe Veche. The exact price remains a secret, but is estimated at $100-150m. MSQRD founder Jaŭhien Neŭhień says that they created the technology over three days and were surprised by its popularity. Shortly after, numerous media celebrities started to post selfies with MSQRD and it rapidly spread around the world. The application became another IT breakthrough from Belarus, following World of Tanks, Viber, and maps.me. Released gangsters try to revive the old order. A few recent criminal cases of debt extortion reminded Belarus of the 1990's, when the criminal world thrived here, writes Narodnaja Hazieta. In the beginning of the 2000's the authorities implemented a vast crackdown on criminal mobs, and those convicted have been released recently and are trying to revive the old order. Homiel police official Andrej Zajac explained that most former gangsters after spending a decade in prison do not want to work legally and seek criminal sources of income. However, they find it difficult to work in the new situation, because law enforcement works more effectively than it did in the 1990's-2000's. They try to engage in extortion racket of drug dealers or simply go to Russia where they find more opportunities for this activity. “This is the result of many years of tough work, and if not properly controlled, the gangsters can regain power within a year”, the official said.